Wellness partnerships that make a difference. Healthy Partners was created in 2005 at one housing site in Framingham and has expanded to four additional Framingham sites: Hastings House, Rose Kennedy Apartments, Edmands House and Shillman House. Healthy Partners promotes health and well-being for adults age 62 and older and for other adults with disabilities who live at these sites. Staying active is a healthy pursuit. In collaboration with the Framingham Housing Authority, the Framingham Council on Aging, JCHE and other partners, JFS promotes healthy behaviors and community activities for the residents of these sites. Activities are varied and have included fall prevention programs, exercise classes, cultural events, community service projects and walking clubs. 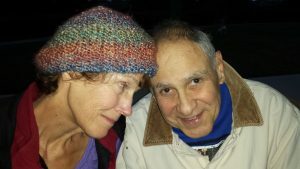 Residents have access to JFS social workers who can connect them to community resources as well as provide support as they face the challenges of aging.